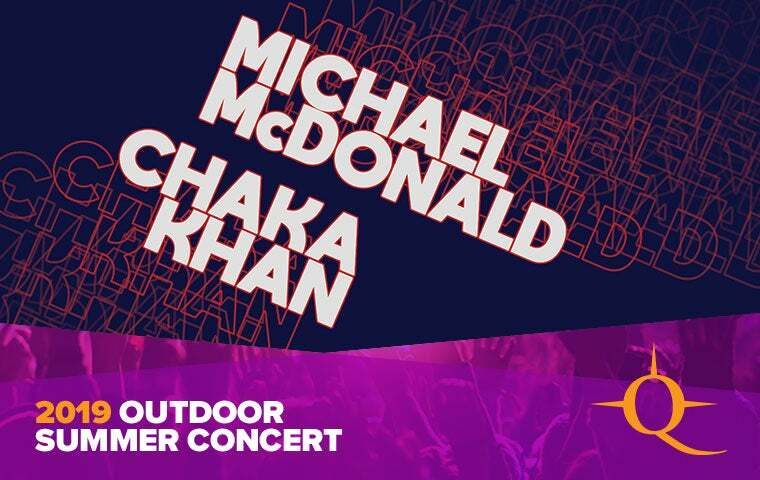 Catch two ’70s/’80s pop culture powerhouses when Michael McDonald and Chaka Khan play one hot night of R&B, soul, pop, rock, and disco under the stars at Northern Quest. Five-time Grammy Award winner, Michael McDonald has collaborated with numerous recording stars after his stints with Steely Dan and the Doobie Brothers. His career as singer, songwriter, keyboardist and record producer has flourished for more than four decades with nine solo albums plus a handful of beloved holiday releases. This Queen of Funk with 10 Grammys to her name has sold an estimated 70 million records worldwide both as a member of Rufus and as a solo artist. Her star attraction, thanks to her powerful vocals and memorable stage attire, earned Khan a star on the Hollywood Walk of Fame. She’s collaborated with the likes of Prince, Whitney Houston, and Stevie Wonder and is credited as the first R&B artist with a crossover hit featuring a rapper with "I Feel for You".